From Left-Eugene Kaspersky, Naz Sibaei and Garry Kondakov. Endpoint protection company, Kaspersky Lab, has named its Aussie reseller, Globalnet Solutions, as its reseller of the year. 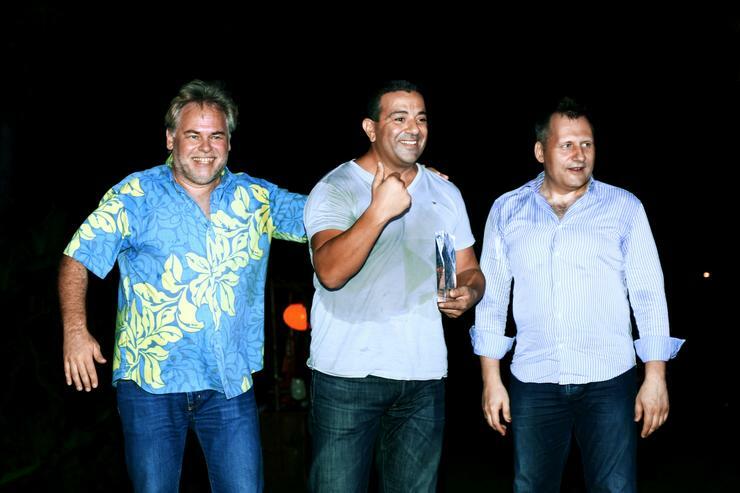 The company was awarded the gong at Kaspersky Lab’s 8th annual Asia-Pacific partner conference in Vietnam. Kaspersky Lab A/NZ general manager, Peter Brady, said every year, the Asia-Pacific Kaspersky Lab family comes together for this partner conference to honour and recognise the work of its partners across the Asia-Pacific region. “One of the biggest contributors to the success of Kaspersky has been our partners. “Globalnet Solutions has demonstrated great success for Kaspersky Lab’s solutions to clients. It has achieved strong sales with year on year growth and shown tremendous dedication and commitment to Kaspersky over the past year,” he said. Globalnet Solutions managing director, Naz Sibaei, added that the award is a testament to the longstanding relationship between both companies and the joint success both companies have created in Australia. “This award is very dear to all of us at Globalnet Solutions and the reseller community of Australia. It represents years of hard work. “Being honoured with the best in Asia-Pacific is a very big privilege for us. Australia, with its constantly rising use of digital devices, is a great market for Kaspersky. We have great plans for the future and are confident to keep going from here on in,” Sibaei added. Other award winners include: Lapcom for Most Outstanding B2B Partner, V.R. Infotech for Most Outstanding B2C Partner, and PT Optima Solusindo Informatika for The Longest Partnership. Weblink International was named 2015 Rising Star, while Go Green Security Distribution won the Distributor of the Year award. SeongCheol Park from Echo Light nabbed the Salesperson of the Year Award.